Production experience in a wide range of industries from high-end furniture to automotive and the highest expertise in computer-aided design (CAD) and computer-aided manufacturing (CAM) programming. Whether it’s a prototype, small quantity or large production run, let’s discuss your project. How do we stay so cost competitive? By keeping overheads low. Being centered in Rochester NY is one way but our real secret is simple: we don’t cut metal. Milling metal is a far more expensive process. By focusing on wood, foam and plastic, we are able to pass our savings on to you. 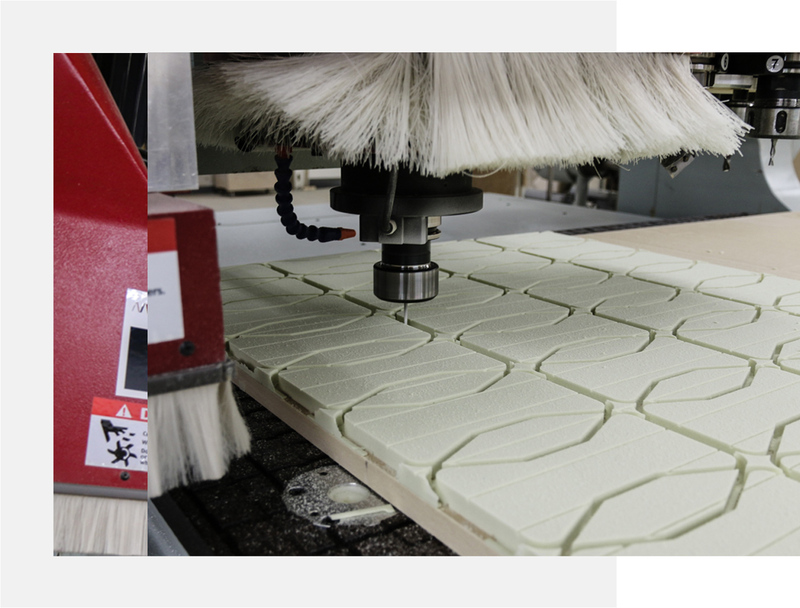 We are able to quickly turn around any project suited for a flat bed 4-axis CNC router, with thicknesses up to 3 1/2″ on most materials. 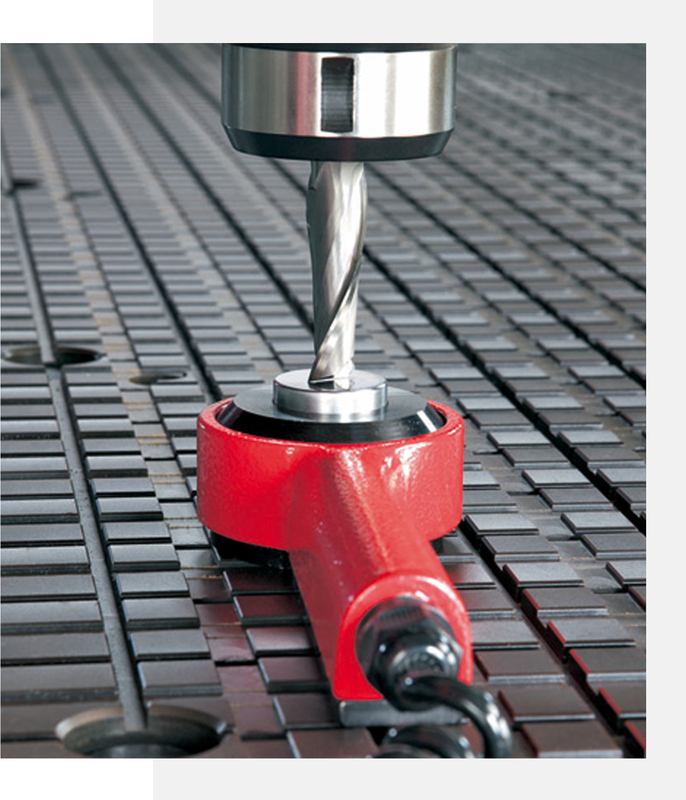 3-axis machining sets a new level of CNC accuracy and machining performance. 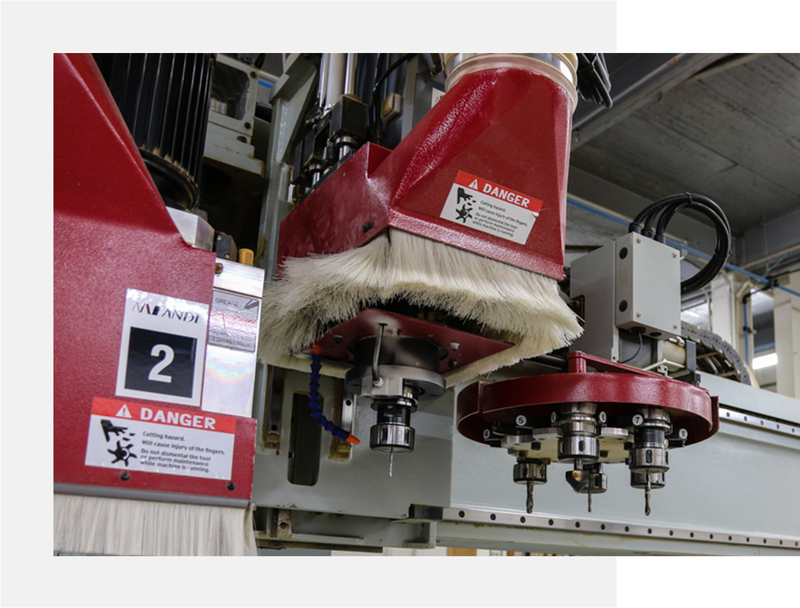 An ideal choice for machining wood, plywood, MDF, plastic, and solid surface materials, our machinery is well equipped with a highly rigid base, steel weldments and high a accuracy Servo System. Our equipment sets a new standard in cost effective, high speed CNC machining, utilizing an industry standard G-code for control functions that allows easy interfacing with all major CAD/CAM software and industry standard solid modeling software packages.